This month’s blog features innovative and cost-effective DIY ideas for kids furniture, pallet bookshelves, fancy interior, pebble gardens and much more! Outdoor woodworking : 20 inspiring projects to make from scratch. Easy garden projects : 200+ simple ideas for your yard, garden & home. 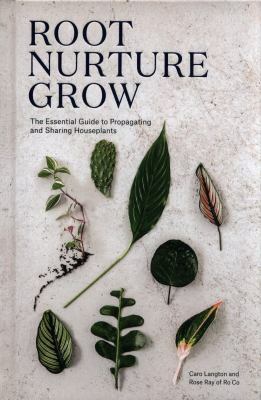 This month’s Home Garden and DIY blog features books about binding, sewing, planting and sharing; and are perfect for your new year resolutions. Bound : 15 beautiful bookbinding projects / Rachel Hazell ; photography by Susan Bell. Making poor man’s guitars : cigar box guitars, the frying pan banjo, and other DIY instruments / Shane Speal. Made of wood : in the home / Mark & Sally Bailey ; photography by Debi Treloar. All things Home, Garden and D.I.Y. This month’s recent pick features great ideas for Christmas cooking, urban and contemporary gardening, and DIY guides. Enjoy! 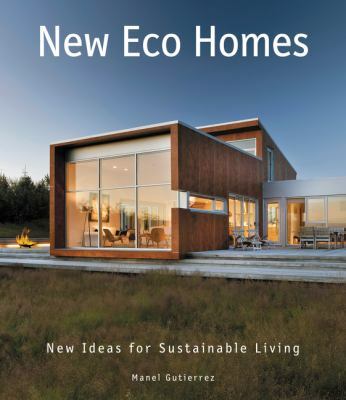 Build or style your home using ideas, tips and information from these new books. Read about trends in residential design (including modular and environmentally minded housing), smart homes, styling thrifty chic interiors, building with recycled materials and more. Have a browse and enjoy! Roll up your sleeves, make some cool decorations and show off! This month’s home garden and DIY features stylish designs that are easy to make and with wood and fabric. Also featured are gardening design ideas. Enjoy! Woodworking : traditional craft for modern living / Samina Langholz and Andrea Brugi ; with photography by Ditte Isager. Simple & stylish woodworking : 20 projects for your home / edited by Scott Francis. Heavy-duty sewing : making backpacks and other stuff / Anton Sandqvist. 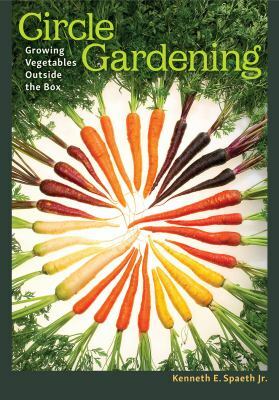 Circle gardening : growing vegetables outside the box / Kenneth E. Spaeth Jr. Rescue, restore, redecorate : Amy Howard’s guide to refinishing furniture and accessories / Amy Howard ; photography by Quentin Bacon. 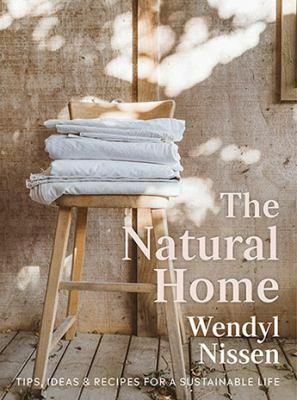 Fresh clean home : making your own natural cleaning products / Wendy Graham. This month’s home, garden and DIY blog features upcycling for gardens, decorating stylish homes and even building solar powered robots at home. Home sweet maison : the French art of making a home / Danielle Postel-Vinay. Upcycling outdoors / Max McMurdo ; photography by Brent Darby. 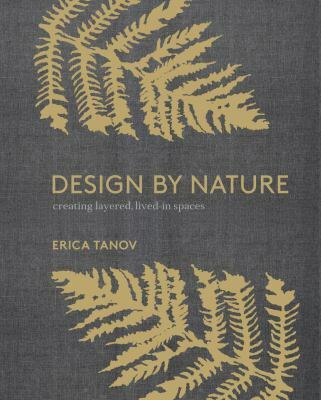 Design by nature : creating layered, lived-in spaces inspired by the natural world / Erica Tanov ; photographs by Ngoc Minh Ngo. New order : a decluttering handbook for creative folks (and everyone else) / Fay Wolf ; illustrated by Jeremy Gates. The new seed-starters handbook / Nancy Bubel with Jean Nick. Home robotics : maker-inspired projects for building your own robots / Daniel Knox. Truly Nordic : Nordic craftsmanship, branding campaigns and design. New minimalism : decluttering and design for sustainable, intentional living / Cary Telander Fortin + Kyle Louise Quilici ; photography by Kelly Ishikawa. The sewing book / Alison Smith. Get great ideas for decorating, renovating, tinkering, personalising, and most importantly enjoying your home with this month’s hand-picked home, garden and do-it-yourself books. Tinkering : Australians reinvent DIY culture / Katherine Wilson. Renovate innovate : reclaimed and upcycled homes / Antonia Edwards. Second bloom : Cathy Graham’s art of the table / by Alexis Clark ; foreword by Joanna Coles ; photography by Quentin Bacon and Andrew Ingalls. Everyday chic : my secrets for entertaining, organizing, and decorating at home / Molly Sims with Tracy O’Connor. Life in the garden / Penelope Lively. Take a seat : 16 beautiful projects for your home / Jemima Schlee. Building with secondhand stuff : how to reclaim, repurpose, re-use & upcycle salvaged & leftover materials / Chris Peterson. Remodelista : the organized home : simple, stylish storage ideas for all over the house / Julie Carlson and Margot Guralnick ; with the editors of Remodelista ; photographs by Matthew Williams ; creative direction by Alexa Hotz. Mary’s household tips & tricks : your guide to happiness in the home / Mary Berry. A well-crafted home : inspiration and 60 projects for personalizing your space / Janet Crowther ; photographs by Julia Wade ; illustrations by Tate Obayashi. A sense of home : eat, make, sleep, live / Helen James. Give your home and your beloved objects an exciting new life using unique ideas found in this collection of books, including inspirational real-life stories from downsizers revealing how successfully they’ve handled the challenges. Happy reading! Make yourself at home : design your space to discover your true self / Moorea Seal ; photographs by Marissa Maharaj ; illustrations by Julia Manchik. Books make a home : elegant ideas for storing and displaying books / Damian Thompson. Through the French door : romantic interiors inspired by classic French style / Carolyn Westbrook ; photography by Keith Scott Morton. Recycled home / Mark & Sally Bailey ; with photography by Debi Treloar. Wooden houses : from log cabins to beach houses / Judith Miller ; photography by James Merrell. Upscale downsizing: creating a stylish, elegant, smaller home / by Leslie Linsley. Our first book this time, Wab-sabi welcome is a beautifully illustrated one on the Japanese art of appreciating perfection in imperfect things, and leads on to the Wabi-sabi art of entertaining. Wabi-sabi welcome : learning to embrace the imperfect and entertain with thoughtfulness and ease / Julie Pointer Adams. Grow fruit & veg in pots / Australian consultant, Jennifer Wilkinson. Building small : sustainable designs for tiny houses & backyard buildings / David & Jeanie Stiles ; illustrations by David Stiles. Handwoven home : weaving techniques, tips, and projects for the rigid-heddle loom / Liz Gipson. Doormaking : materials, techniques, and projects for building your first door / Strother Purdy. 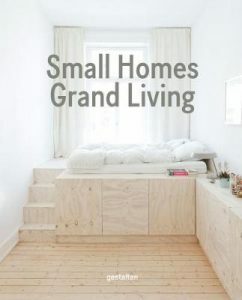 Small homes, grand living / edited by Robert Klanten and Caroline Kurze. My French country home : entertaining through the seasons / Sharon Santoni ; photographs by Franck Schmitt. Lagom : the Swedish secret of living well / by Lola A. Åkerström. Potted : make your own stylish garden containers / Annette Goliti Gutierrez & Mary Gray. Handmade home / Mark & Sally Bailey ; photography by Debi Treloar. A beautiful garden doesn’t have to take a lot of space. Get great tips on small scale gardening or event table top gardening. Plus, we have tips on brewing your own beer. The art of the natural home : a room by room guide / Rebecca Sullivan ; photography by Nassima Rothacker. 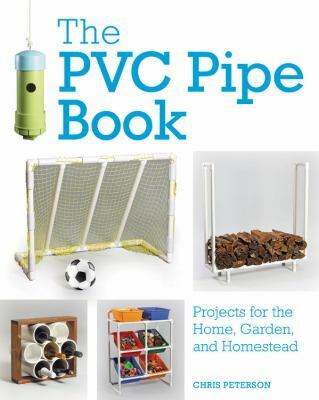 Build it yourself : weekend projects for the garden / Frank Perrone ; photographs by Nicholas Perrone ; illustrations by Christopher Perrone. My tiny flower garden : beautiful blooms in surprisingly small places / Matt Collins ; photography by Roo Lewis. The foodscape revolution : finding a better way to make space for food and beauty in your garden / Brie Arthur. Sunshine spaces / Beci Orpin. Tiny tabletop gardens : 35 projects for super-small spaces– outdoors and in / Emma Hardy. Brew Your Own big book of homebrewing : all-grain and extract brewing, kegging, 50+ craft beer recipes, tips and tricks from the pros / editors of Brew Your Own. The value of weeds / Ann Cliff. Wood floors : hardwood, laminate, bamboo, wood tile, and more.